Victor Hugo came to Guernsey in 1855 during his exile from France. Hugo believed that France should be a republic. This put him in conflict with Napoleon III, who had proclaimed himself emperor. As a result, Hugo left France in 1851 and did not return until 1870 after the fall of Napoleon III. During the first four years of his exile, Hugo lived first in Belgium and then in the Channel Island of Jersey. However, mindful that Hugo was disliked by their big neighbor, Hugo was expelled from those places as well. 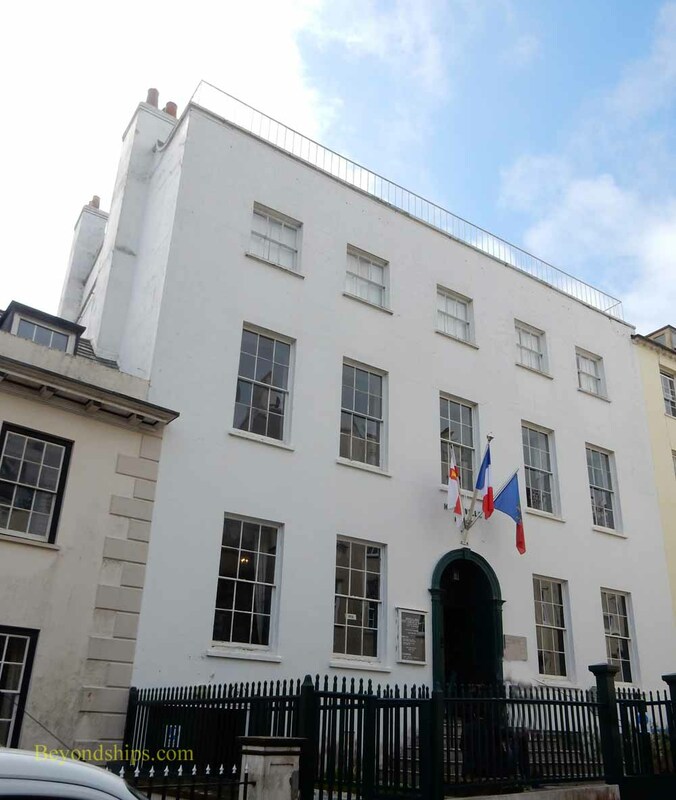 When he came to Guernsey, Hugo purchased Hauteville House with the proceeds from his work Les Contemplation. Under Guernsey law, property owners could not be explelled from the island. The house had been built around 1800 by an English privateer. However, it was unoccupied for many years because it was believed to be haunted by the spirit of a woman who had committed suicide there. To say that Victor Hugo decorated Hauteville House is misleadintg. Hugo re-designed the house not for the sake of making it more convenient to live in but rather to make it express his philosophy. The house is full of symbolism with mottos and inscriptions, sometimes with more than one meaning, etched into the walls. He designed furniture and did artwork for the house. (Hugo did some 4,000 drawings during his lifetime). Each room tells a story. As a result, at Hauteville House you are not merely looking at a 19th century house with period furniture but rather are glimpsing into Hugo's mind. His wife, the former Adele Foucher, wanted to live in a more simple house rather than in a work of art. 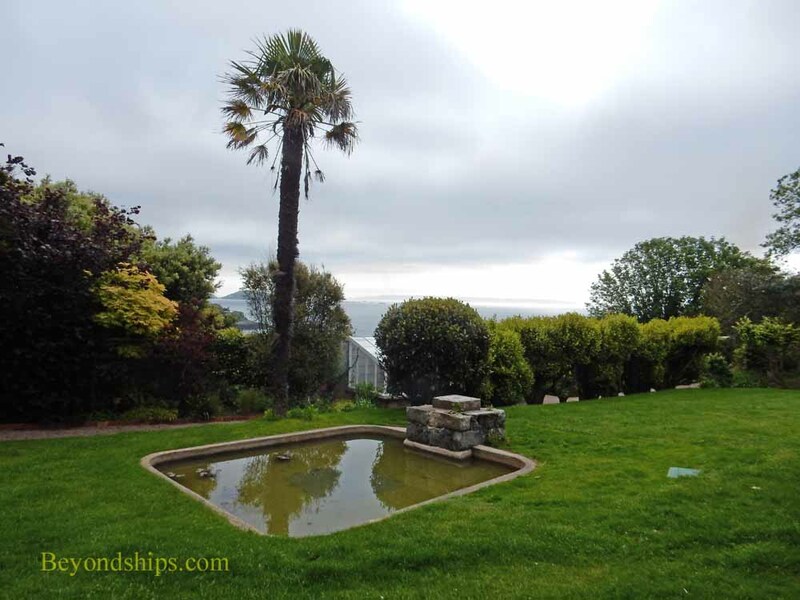 Consequently, as time went on, she took longer and longer trips away from Guernsey. Indeed, she died in Brussels in 1868 during one of these trips. Hugo, however, was not lonely. His official mistress, the actress Juliette Drouset, followed him into exile. Hugo found a house of her not far from Hauteville House. 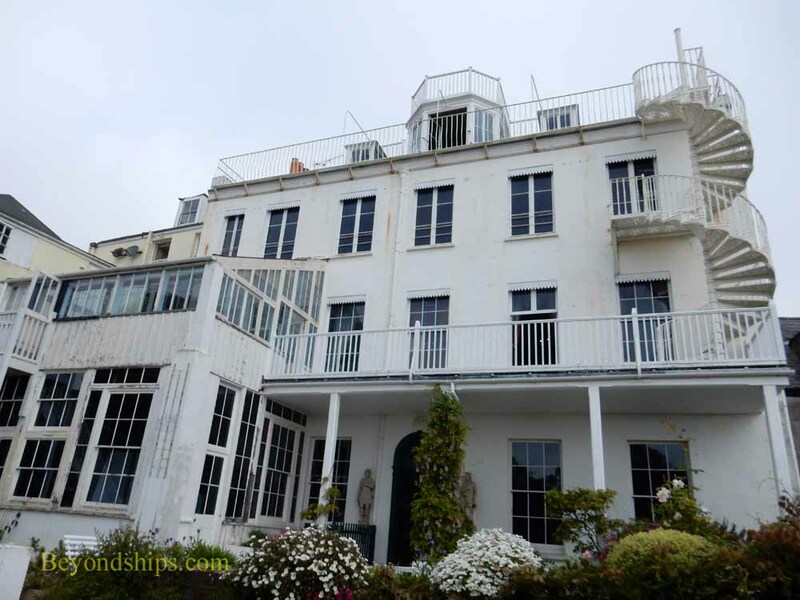 Hauteville House has five floors. The main staircase linking the floors is bathed in natural light from a window above. When you arrive at the top floor, you find that the window is in the floor of a glass enclosed gallery in which Hugo stood to do his writing. 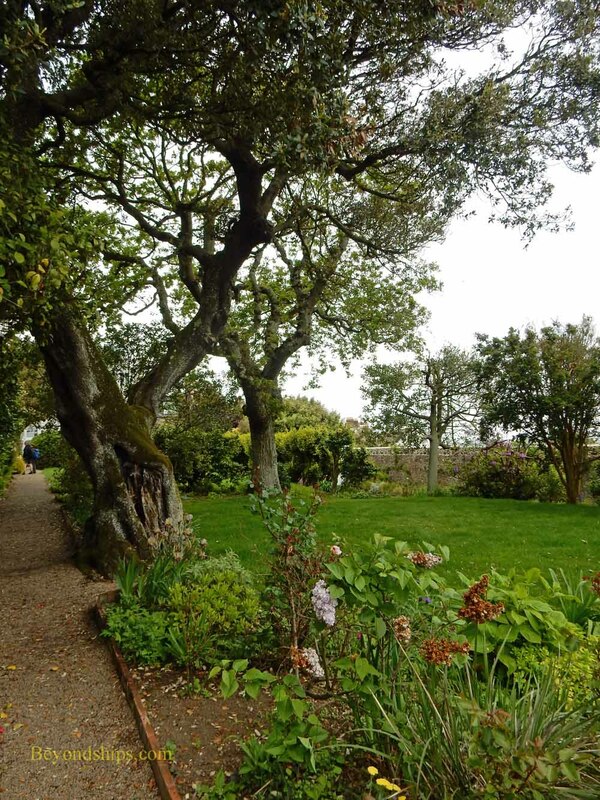 ​In back of the house is a large well-maintained formal garden. 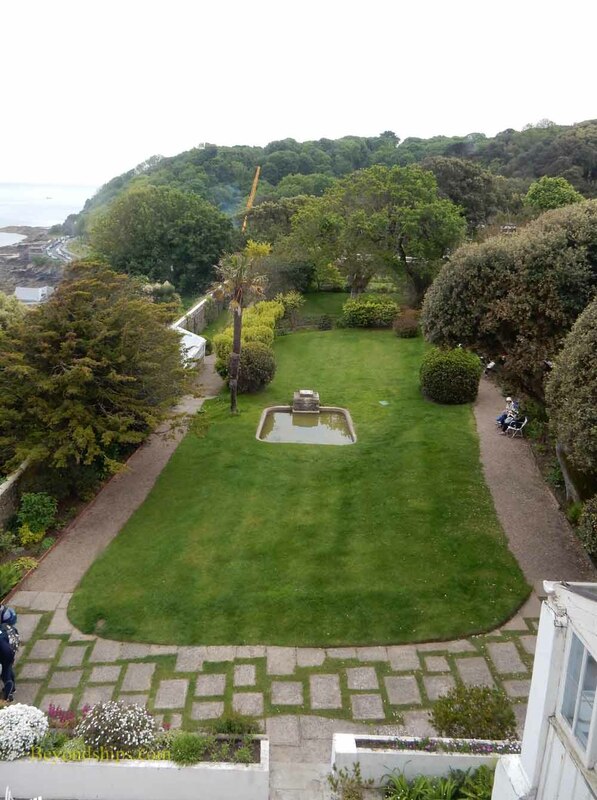 The land slopes away from the garden so you also have panoramic views of St. Peter Port's harbor. In 1927, the descendents of Victor Hugo donated the house and its contents to the City of Paris, who still own and maintain the house. For more information, see the Paris Musees website. Above: Hauteville House from the garden. Above and below: The garden.